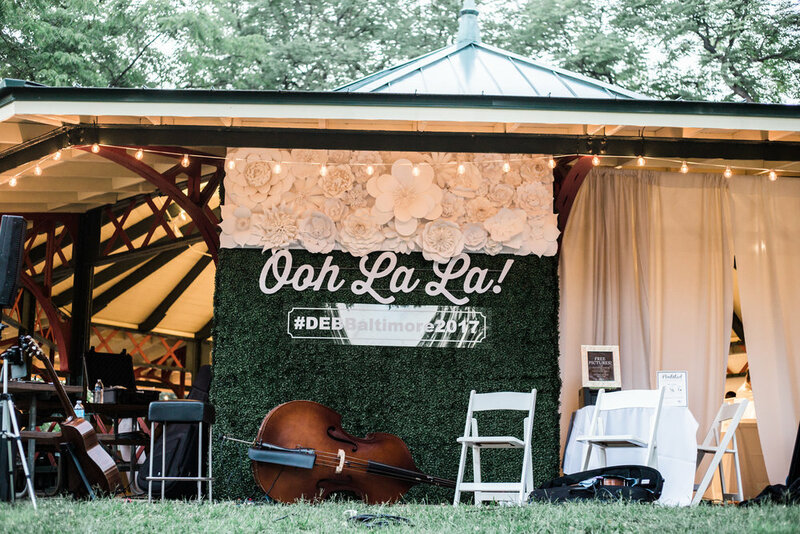 4 months ago while walking around in Paris snacking on macaroons, we never expected that we would be reliving a similar Parisian experience in our hometown of Baltimore. 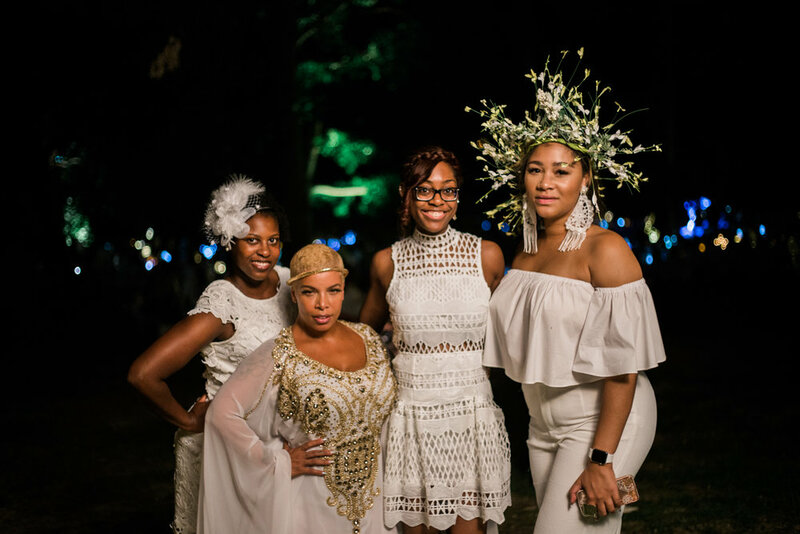 We were dreaming of something big to come our way and when we heard from a friend that Diner en Blanc was having its debut in Baltimore this summer, we knew we wanted to be a part of it. 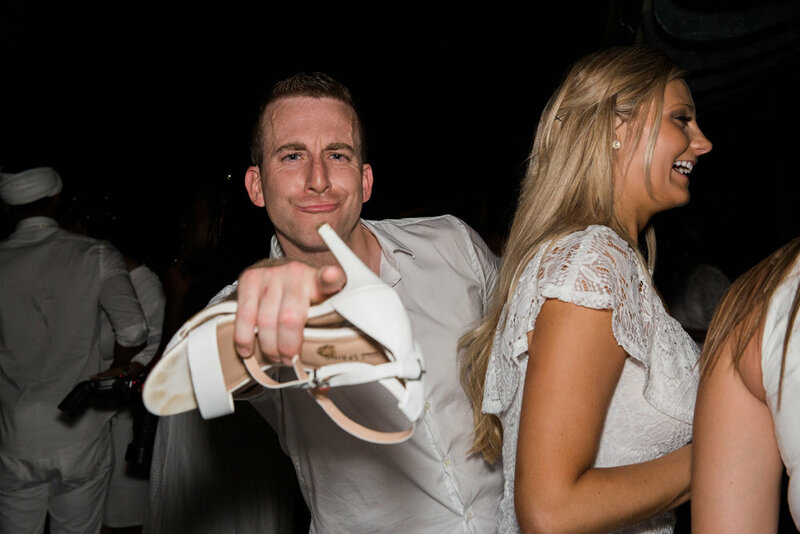 Being asked to be the photographers for the event blew our expectations away! 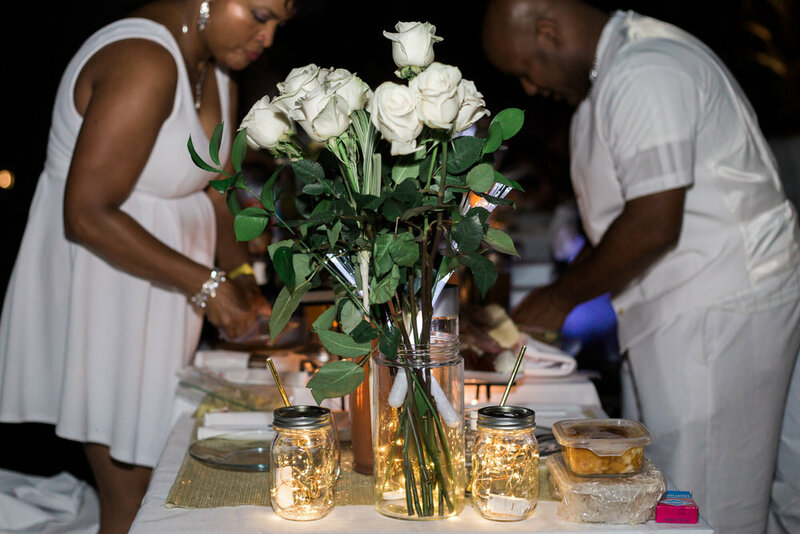 It is an international epicurean event that originated in Paris in 1988. 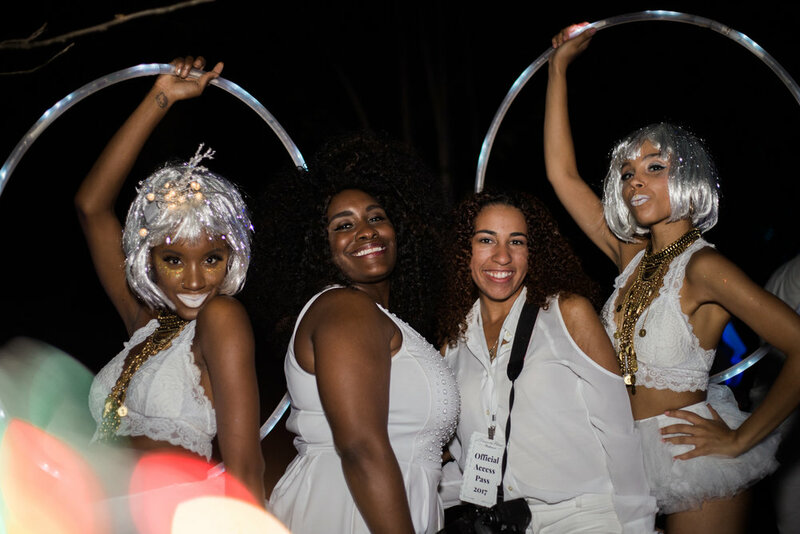 Guests of Diner en Blanc wear all-white formal attire and come prepared to eat delicious food, socialize with colleagues, meet new friends and dance the night away. 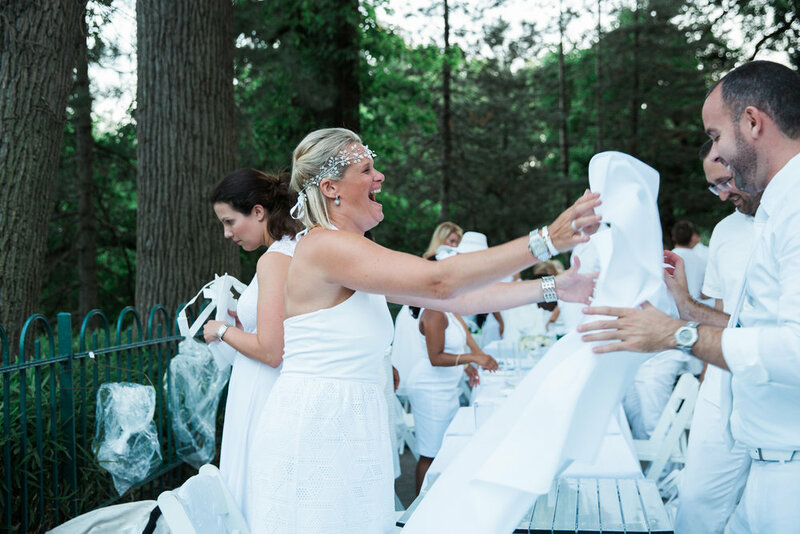 However, the location of Diner en Blanc remains a mystery to all (well except us vendors). After purchasing tickets, guests are all given a meet-up place to be before the event. 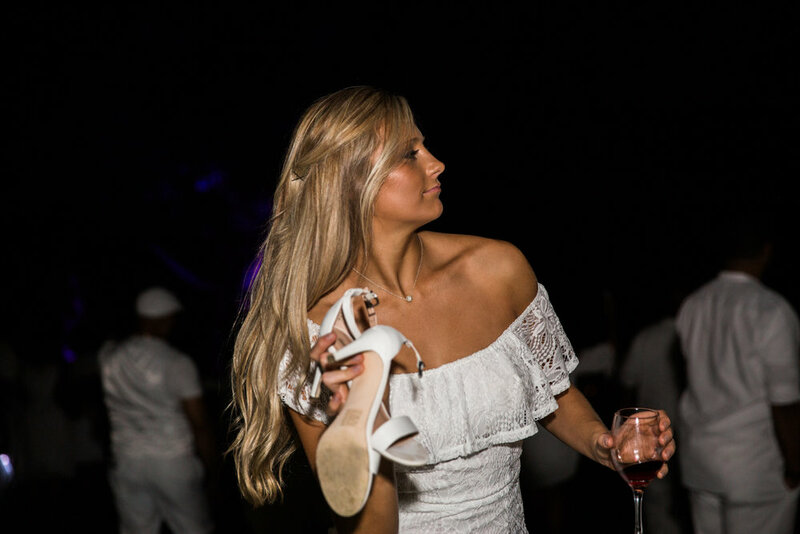 Guests have no idea where the event will take place. 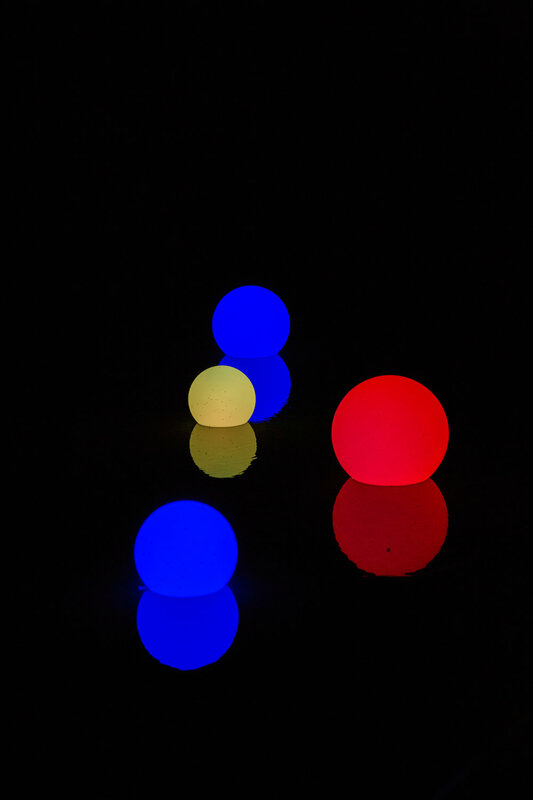 The only clue they have is that it will be a staple of the city and it will be fabulous! 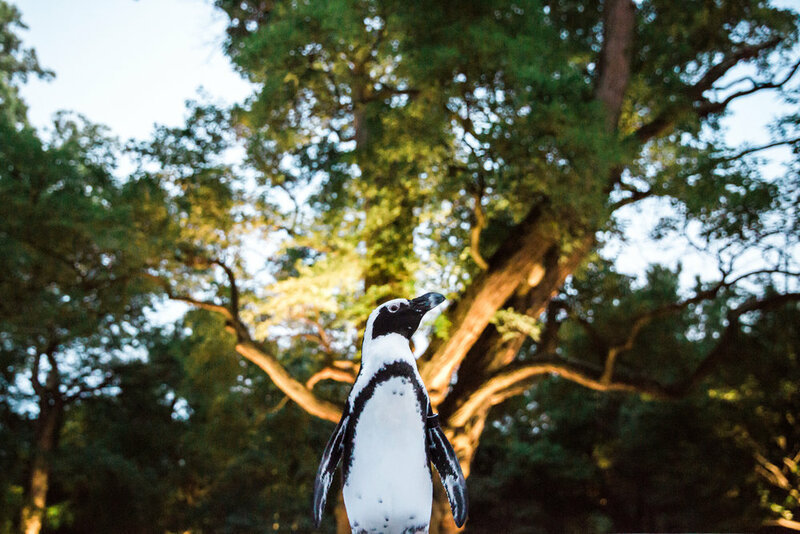 This year 1500 guests were transported by coach bus from the Baltimore Harbor to *drum roll please* The Maryland Zoo in Baltimore. 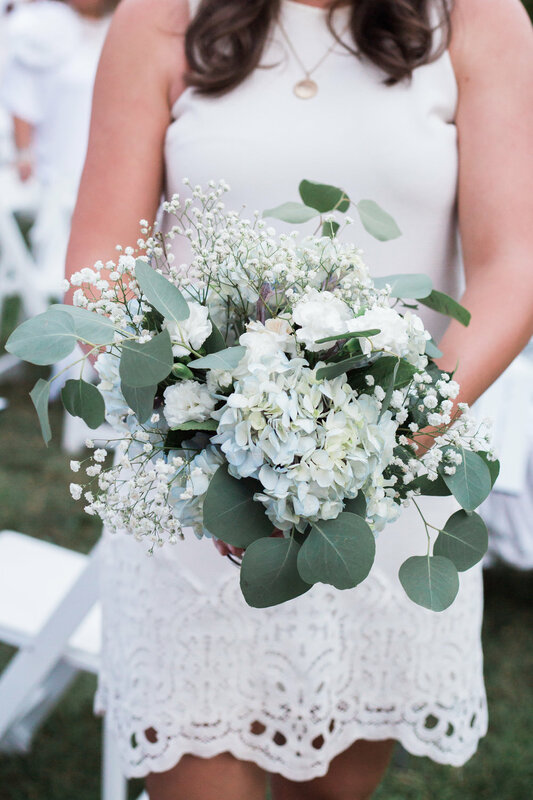 Most guests could not contain their excitement as they entered a beautifully decorated courtyard of greenery and white flower arrangements. 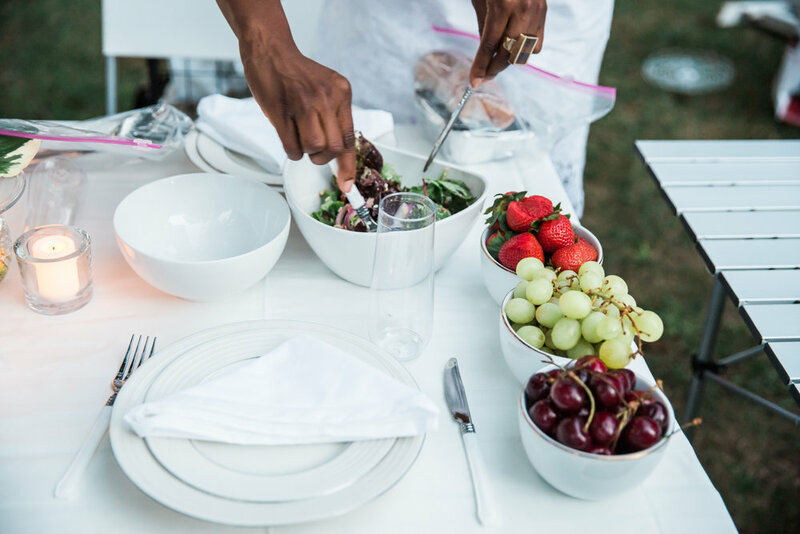 They picked up a bottle of Le Grand Courtâge Sparkling Wine , a full serving of Dinner and made their way to set-up their table to design as magically as they desire. 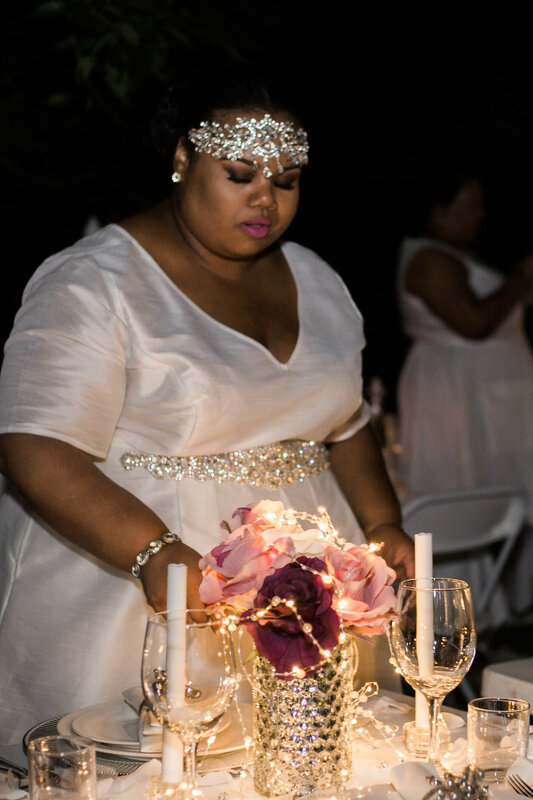 Guests went all out designing their dinner tables with the finest china, flatware, candlebras and so much more. 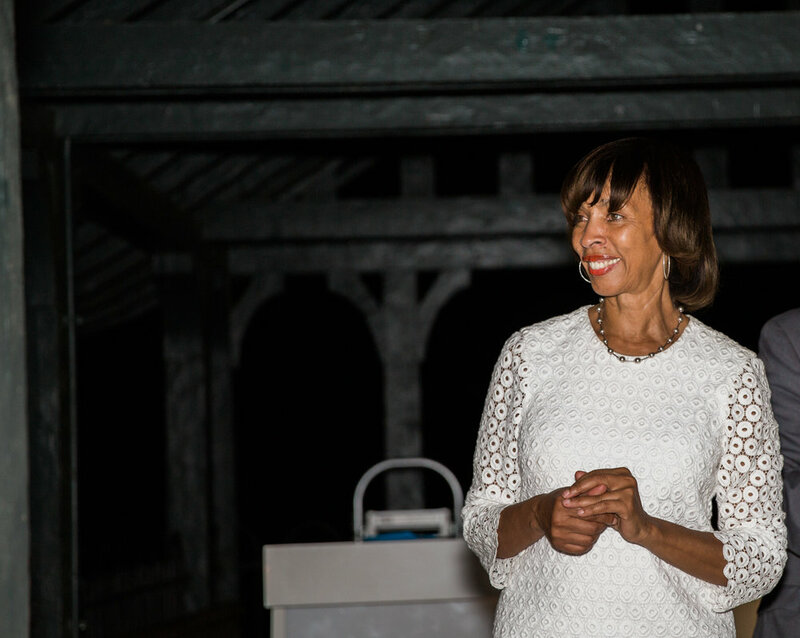 The mayor of Baltimore,Catherine Pugh was in attendance and gave a toast to a spectacular night and commenced the famous napkin wave right before dinner. 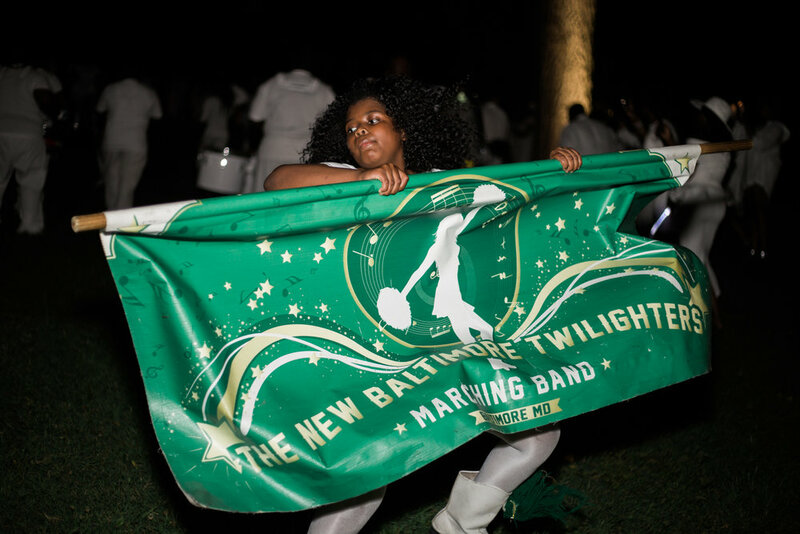 Once dinner started to wine down (pun intended), the Twilighters, (famous marching band in Baltimore) came out behind the trees and livened up the party with heart pounding bass instruments and swift spinning dancers. 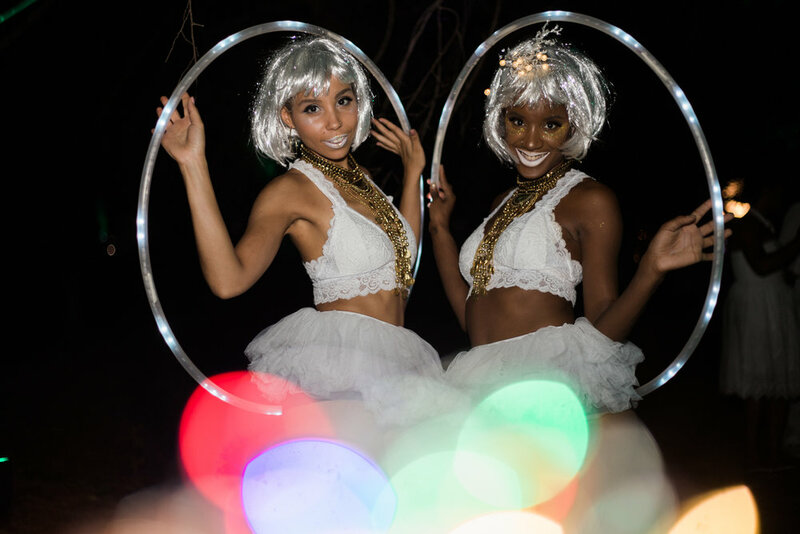 A glowing crowd of 1500 people surrounded the performers and the trees around us began to illuminate in neon hues. 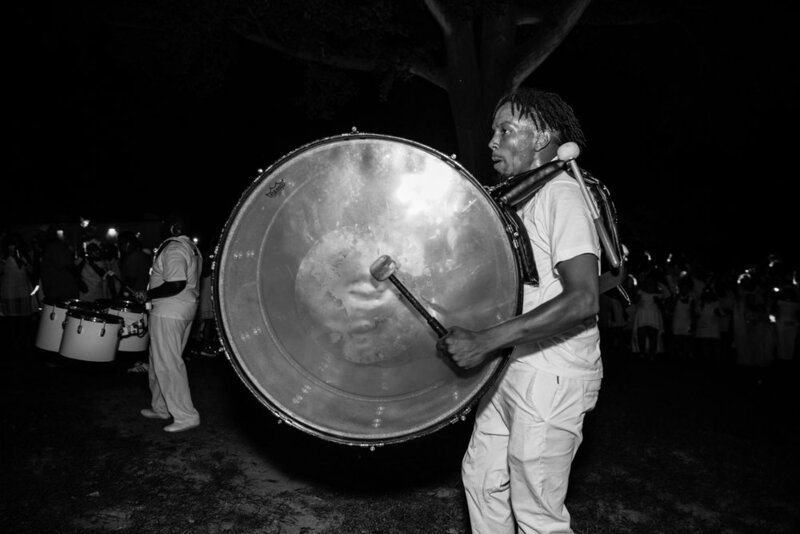 Then more music (Earth, Wind and Fire to be exact) lured guests to a separate area of the park by the water to dance for the remainder of the evening. 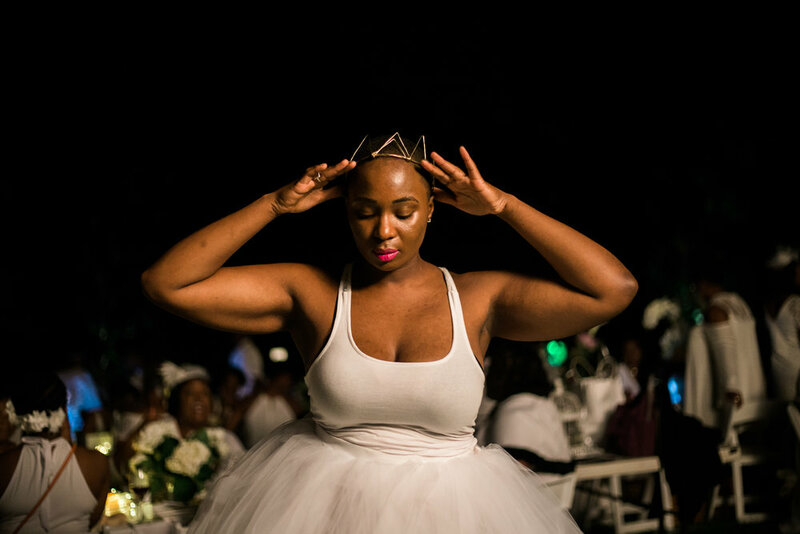 For more detailed information about the Diner en Blanc experience, we recommend this blog.